“No one can any longer seriously deny that what was supposed to be a movement to bring freedom was, along with National Socialism, the greatest system of slavery in modern history: the extent of the cynical destruction of human beings and of the world is very often passed over in shame and silence, but no one can deny it any longer” (Truth and Tolerance, 233). 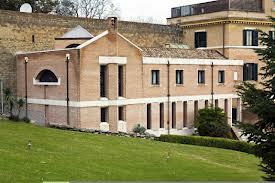 Watch a video that takes you inside Benedict XVI’s current residence. It is done in German but it is nicely done. The plans were announced on“La Vigna del Signore” (The Vineyard of the Lord). 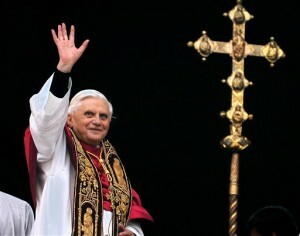 There is no particular way to observe the day of prayer except to pray for Benedict XVI. It is suggested that one can follow what Benedict XVI typically does on a daily basis” 7:00 am Mass; 7:30am Lauds, Office of Readings; Sext at Noon with the Angelus, 3:00pm Rosary; 6:00 to 7:00 Vespers and then Compline 8:30. A prayer service is being planned for the New Haven, CT area. I am convinced, after reading Benedict XVI letter to the archbishop of Milan on Saint Charles Borromeo, that this saint and churchman is one of the pivotal keys of my own conversion, and that of all Catholics. I always seem to go back to the former Pope’s guidance for some obvious reasons. Benedict is such a clear writer and thinker; he gives the key points to our life in Jesus Christ through the witness of this great saint of Milan! Perhaps you will think the same. Listen to Benedict XVI; follow the good example of Saint Charles. You will have to conclude that Borromeo cannot go unnoticed or unheeded. 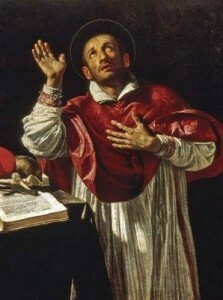 Blessed feast to the the Church in Milan and to the Fraternity of Saint Charles Borromeo. 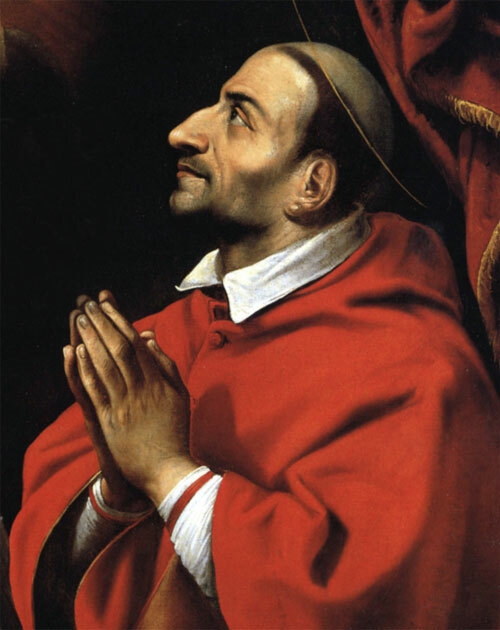 Preserve in the midst of your people, we ask, O Lord, the spirit with which you filled the Bishop Saint Charles Borromeo, that your Church may be constantly renewed and, by conforming herself to the likeness of Christ, may show his face to the world. The extraordinary reform that St Charles carried out in the structures of the Church in total fidelity to the mandate of the Council of Trent was also born from his holy life, ever more closely conformed to Christ. His work in guiding the People of God, as a meticulous legislator and a brilliant organizer was marvellous. All this, however, found strength and fruitfulness in his personal commitment to penance and holiness. Indeed this is the Church’s primary and most urgent need in every epoch: that each and every one of her members should be converted to God. Nor does the ecclesial community lack trials and suffering in our day and it shows that it stands in need of purification and reform. May St Charles’ example always spur us to start from a serious commitment of personal and community conversion to transform hearts, believing with steadfast certainty in the power of prayer and penance. I encourage sacred ministers, priests and deacons in particular to make their life a courageous journey of holiness, not to fear being drunk with that trusting love for Christ that made Bishop Charles ready to forget himself and to leave everything. Dear brothers in the ministry, may the Ambrogian Church always find in you a clear faith and a sober and pure life that can renew the apostolic zeal which St Ambrose, St Charles and many of your holy Pastors possessed! This letter addressed Dionigi Cardinal Tettamanzi, Archbishop of Milan, on the occasion of the 400th Anniversary of the Canonization of Saint Charles Borromeo. Dear Brothers and Sisters, […] I would like to present to you the figure of Francis, an authentic “giant” of holiness, who continues to fascinate a great many people of all age groups and every religion. “A sun was born into the world”. With these words, in the Divine Comedy (Paradiso, Canto XI), the great Italian poet Dante Alighieri alludes to Francis’ birth, which took place in Assisi either at the end of 1181 or the beginning of 1182. As part of a rich family his father was a cloth merchant Francis lived a carefree adolescence and youth, cultivating the chivalrous ideals of the time. At age 20, he took part in a military campaign and was taken prisoner. He became ill and was freed. After his return to Assisi, a slow process of spiritual conversion began within him, which brought him to gradually abandon the worldly lifestyle that he had adopted thus far. The famous episodes of Francis’ meeting with the leper to whom, dismounting from his horse, he gave the kiss of peace and of the message from the Crucifix in the small Church of St Damian, date pack to this period. Three times Christ on the Cross came to life, and told him: “Go, Francis, and repair my Church in ruins“. This simple occurrence of the word of God heard in the Church of St Damian contains a profound symbolism. 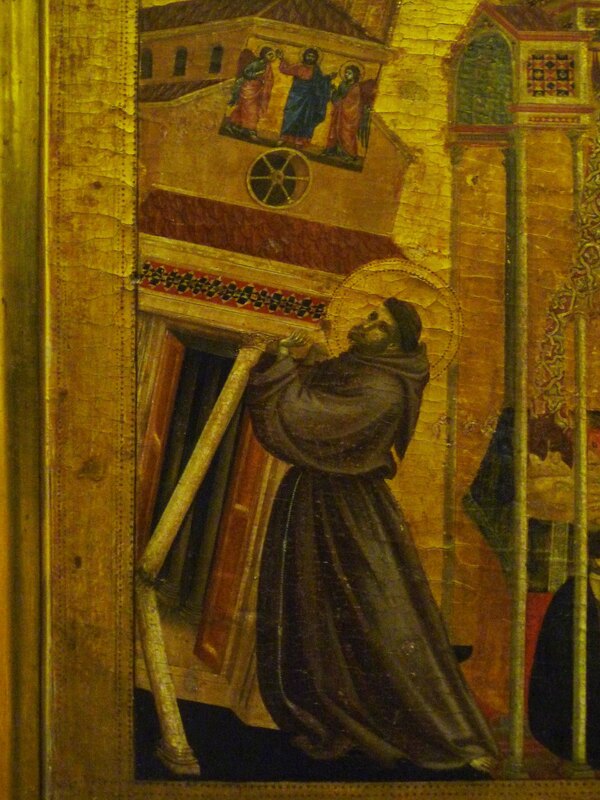 At that moment St Francis was called to repair the small church, but the ruinous state of the building was a symbol of the dramatic and disquieting situation of the Church herself. At that time the Church had a superficial faith which did not shape or transform life, a scarcely zealous clergy, and a chilling of love. It was an interior destruction of the Church which also brought a decomposition of unity, with the birth of heretical movements. 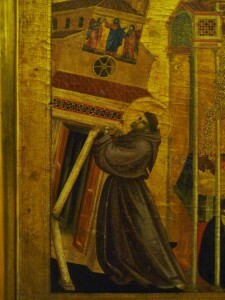 Yet, there at the centre of the Church in ruins was the Crucified Lord, and he spoke: he called for renewal, he called Francis to the manual labour of repairing the small Church of St Damian, the symbol of a much deeper call to renew Christ’s own Church, with her radicality of faith and her loving enthusiasm for Christ. This event, which probably happened in 1205, calls to mind another similar occurrence which took place in 1207: Pope Innocent III’s dream. In it, he saw the Basilica of St John Lateran, the mother of all churches, collapsing and one small and insignificant religious brother supporting the church on his shoulders to prevent it from falling. 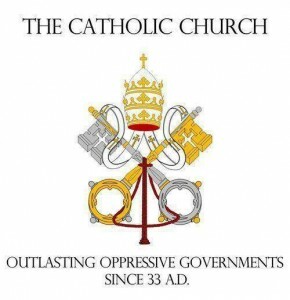 On the one hand, it is interesting to note that it is not the Pope who was helping to prevent the church from collapsing but rather a small and insignificant brother, whom the Pope recognized in Francis when he later came to visit. Innocent III was a powerful Pope who had a great theological formation and great political influence; nevertheless he was not the one to renew the Church but the small, insignificant religious. It was St Francis, called by God. On the other hand, however, it is important to note that St Francis does not renew the Church without or in opposition to the Pope, but only in communion with him. The two realities go together: the Successor of Peter, the Bishops, the Church founded on the succession of the Apostles and the new charism that the Holy Spirit brought to life at that time for the Church’s renewal. Authentic renewal grew from these together. From love for Christ stems love for others and also for all God’s creatures. This is yet another characteristic trait of Francis’ spirituality: the sense of universal brotherhood and love for Creation, which inspired the famous Canticle of Creatures. This too is an extremely timely message. As I recalled in my recent Encyclical Caritas in Veritate, development is sustainable only when it respects Creation and does not damage the environment (cf. nn. 48-52), and in the Message for the World Day of Peace this year , I also underscored that even building stable peace is linked to respect for Creation. Francis reminds us that the wisdom and benevolence of the Creator is expressed through Creation. He understood nature as a language in which God speaks to us, in which reality becomes clear, and we can speak of God and with God.